Since 2013 the rebooted Tomb Raider series has been my second favorite video game franchise (behind The Last of Us). 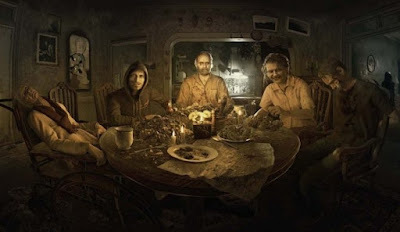 I have gone through the first game so many times I can normally finish it in 2 to 3 sitdowns and play it once or twice a year. And with that comes the completionist in me that has to play Rise of the Tomb Raider after each time I play through the first game. Rise made some great progression over the first game including making crafting more in-depth and making the terrain much more varied and larger. Now 5 years later we come to the end of Lara's origin trilogy, Shadow of the Tomb Raider, which heads to South America as Lara continues her fight against Trinity from gaining the power to reshape the world. In doing so she ends up starting the apocalypse so...oops. Don't worry, that is not a spoiler it happens fairly early in the game and is the catalyst for the main story. This gives a great reason for Lara and Jonah to have some real tension between them and often Jonah will say something to Lara (like "everything is not about you") and you sit there and say "tell her, Jonah". She is so blinded by her hatred for Trinity and trying to stop them that she may have inadvertently helped them begin what they have wanted from the beginning. It is a suitable backdrop for the last part of a trilogy. Shadow takes a lot of the improvements from Rise and builds on them. While not a noticeable upgrade you are still able to gather resources for crafting arrows, special bullets, etc. The market system is more varied with multiple places to buy and sell goods. Costumes are now craftable also with you hunting down certain animals and materials to create outfits that have special buffs on them. One aspect that was a little disappointing was the skill tree system. While I like the look of it, a lot of the skills seem superfluous and are there as a reason to grind. The hubs in Shadow are easily the largest seen in the series. Where Rise added 2 or 3 main hubs as a catchall for hunting and side missions, Shadow makes Paititi and the surrounding area feel more alive with populated towns that are filled with quest givers, rare animal hunts and the small side challenges from the first 2 games, like finding hanging frog statues around the city, for more XP. Likewise challenge tombs have been brought up in difficulty from Rise. The first Tomb Raider had challenge tombs that were easily solvable and Rise did a great job of upping the difficulty to where you had to put actual thought into solving them. The tombs in Shadow are no joke. While they won't make you feel dumb like playing Myst for the first time they will have plenty of moments that make you ask "what the hell am I supposed to do". Shadow has made challenge tombs worthy of their namesake. The story has a few problems that could have drug down the finale if the game wasn't as much fun to play. The main antagonist, Dominguez, is described as the heart of Trinity, but during most of the game you are dealing with family issues and a tribal conflict in Paititi. It is like they forgot the Trinity stuff until about halfway through the game. There is a mention here and there and there are Trinity troops to kill in ever more inventive ways that make Lara an almost full-on serial killer, but for it to be Lara's main focus, the actual group of Trinity is largely forgotten. I am not saying the story is not good. Quite the opposite. I loved the tribal environments and family drama, but it seems wedged in with the finishing of the Trinity storyline. If this had been a continuation and shown how Dominguez became the main leader of Trinity it would have been perfect. The climax of the game, complete with giant set pieces that the first 2 games are known for, are writing off Trinity in dialogue as you are hopping and ziplining around. It seemed a bit anti-climatic. Thinking on it more it makes me think they had this great idea for a story, but knew they had to get Trinity out of the way somehow and shoehorned them in the game. There is a moment in the game that seems it is setting itself up for a possible civil war within Trinity that goes nowhere and you are left wondering why that was not the avenue taken. 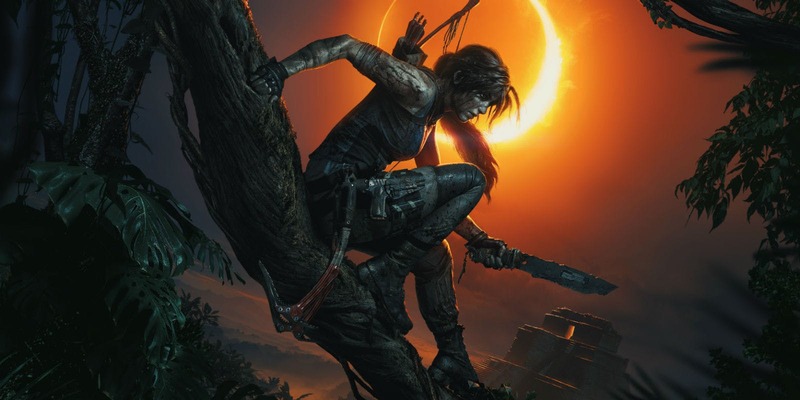 Some of this sounds like sour grapes, but don't let this make you think that I did not like Shadow of the Tomb Raider. I will always say yes to more Lara Croft adventures. While some of the story does not fit well, it is more than enjoyable and my favorite setting from the 3 games. Ancient South American culture has always been one of my favorite things to look into historically so Shadow scratches that itch. The controls are as good as ever and combat feel fluid. Challenge tombs live up to their name and when the plot is focused on the tribal elements Shadow of the Tomb Raider is a fitting end to Lara's origin trilogy.